It’s really a great merger of two of the world’s biggest icons. One’s a child star who became an adult star who became one of the most acclaimed directors of all time. The other is a rock and roll band that became a cuddly pop rock act and then became one of the biggest bands of all time (and also a degree subject in the UK). The Beatles and Ron Howard are going to meet for the first time since 10-year-old Ron Howard got a Beatles wig for his birthday. 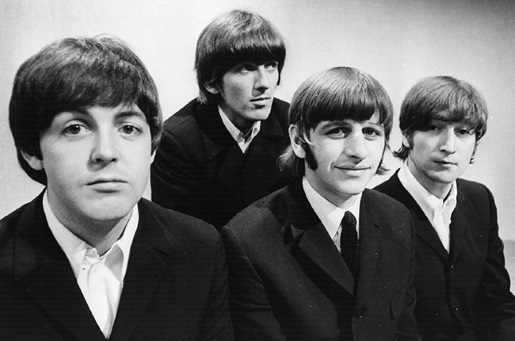 Ron Howard is going to be directing a documentary about The Beatles focusing on them as a live band. It’s an interesting focus for Howard, as John, Paul, George, and Ringo are more noteworthy for their record sales than their live performances. After all, there are no live recordings of The Beatles, aside from television appearances and the like. After all, they’re well before the camera phone days, so it’s going to be a good tactic to take when approaching the movie. Apparently there are also some great unseen Super 8 footage and sound board recordings of the Beatles at live shows that should make for some excellent additional content. The two surviving Beatles, Ringo Starr and Paul McCartney are cooperating with the project, as well as George’s widow Olivia Harrison and John’s widow Yoko Ono.